Applied DNA Sciences (APDN) has shown in a study that its DNA taggants could be used to authenticate denim products, even when subjected to harsh processing. The company – which is already providing its DNA tags to companies in the textiles industry – says that tags added to denim material prior to stone and bleach washings used in the production of finished garments are still detectable afterwards. The study, published in the journal AATCC Review, was carried out by researchers at the Fashion Institute of Technology (FIT) in New York in collaboration with APDN, who proved that the DNA tags remained intact and suitable for high quality forensic scale analysis after processing. “This technology will enable brands and manufacturers to track their fibres from the farm through to the finished product, allowing for a more transparent supply chain,” said Sean Cormier, FIT assistant professor, textile development and manufacturing. “Traceability can also help verify certain sustainability claims about commodities and products, helping ensure good practices and respect for people and the environment in supply chains,” he added. There has been a lack of commercially available test methods to determine where denim fibres are grown, says APDN, and this is a concern to manufacturers, as global counterfeiting continues to escalate – rising from $1.2trn in 2017 to an estimated $1.82trn by 2020. 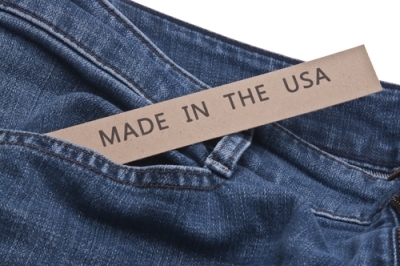 The denim authentication problem is significant since most American cotton, including Upland cotton used to produce denim, is shipped overseas and combined with other cotton where it can lose its identity. Textiles is APDN’s most established industry category in its supply chain business, headed by the Pimacott brand of traceable Pima cotton, and it has started to turn its attention to synthetic textiles, leather and other materials. Future projects will tag cotton intended for denim use, as well as other premium fibres such as wool, cashmere, man-made fibres like viscose, nylon, and recycled polyester, and bio-based fibres. In the last few days APDN announced it has expanded a collaboration with Eurofins BLC Leather Technology Centre for the commercial roll-out of a semi-processed and finished leather traceability system that was successfully piloted earlier this year. Like denim, leather undergoes harsh processing.